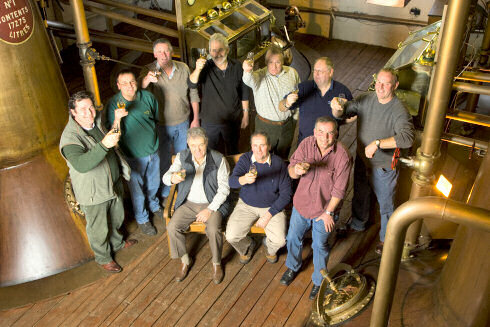 According to Bruichladdich they have been persuading farmers to grow directly for them since 2001. Sourcing everything locally provides ultimate traceability as well as maximum flavour individuality, as they keep each origin separately. Apparently the farmers are quite competitive, each claiming their whisky tastes best. 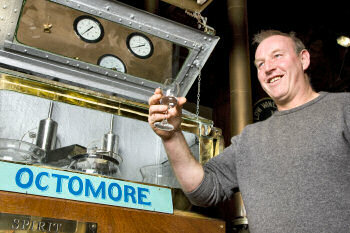 One has a slight advantage though, after all the water for Bruichladdich comes from James Brown's Octomore Farm. I wonder how they will be sold once matured, will there be individual bottlings from each Islay farm? Interestingly enough one of the farmers is a whisky distiller himself: Mark French's Rockside Farm is home to Kilchoman Distillery, another distillery where they are planning to do as much as possible locally. Additional competition for the best 100% local Islay whisky?